I understand that while taking part in this program, I will be subject to deep meditative trance and understand that this is a highly suggestible state. I understand that James Cole is simply an educator, and this program does not involve the diagnosis or treatment of mental disorders. I understand that although there are many benefits to meditation, it is not a recognised substitute for mental or physical healthcare by most governmental healthcare establishments and I will not use it in place of any form of diagnosis, treatment or therapy without first consulting a medical professional. I understand that the educator provides education and guidance only and cannot guarantee individual results. I understand and agree that I am fully responsible for my physical, mental and emotional well-being while taking part in this program, including my choices, decisions and any consequences of such. I understand that if I do not follow the instructions given to me regarding meditation and to practice regularly, my chance of success with meditation is minimal. I agree to always listen to any audio or video components of this program while seated in a safe environment and agree not to listen to any part of this program while driving, operating machinery, or being responsible for anyone else’s wellbeing. Knowing that anything that occurs while meditating, is a direct result of my actions and thought patterns, I hereby absolve and release the educator from any responsibility of all results expected or unexpected, that I may achieve from meditation. I understand that by selecting “I agree” I acknowledge that I have read in full and agree to all of these terms. 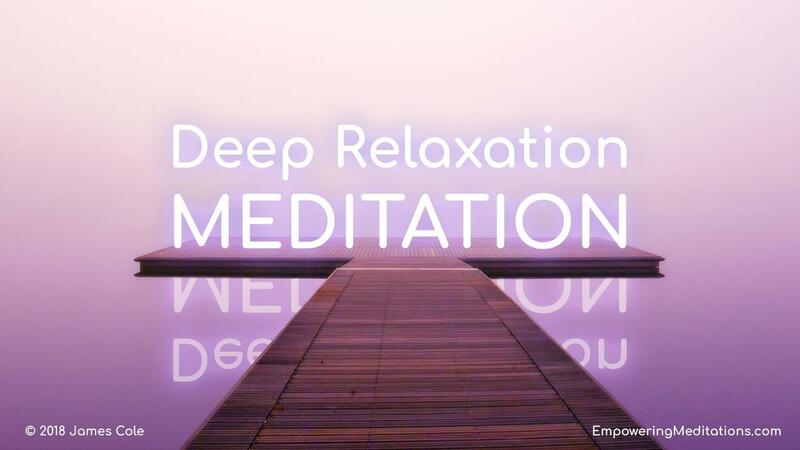 Deep relaxation is something many of us are missing in this modern world. However, relaxation is as important to our mental and physical health and well-being as exercise, healthy eating and good sleep. This program will introduce you to some powerful meditation techniques as well as provide some guided meditations that will see people with even the busiest of minds, sinking into an irresistibly deep and blissful relaxation.